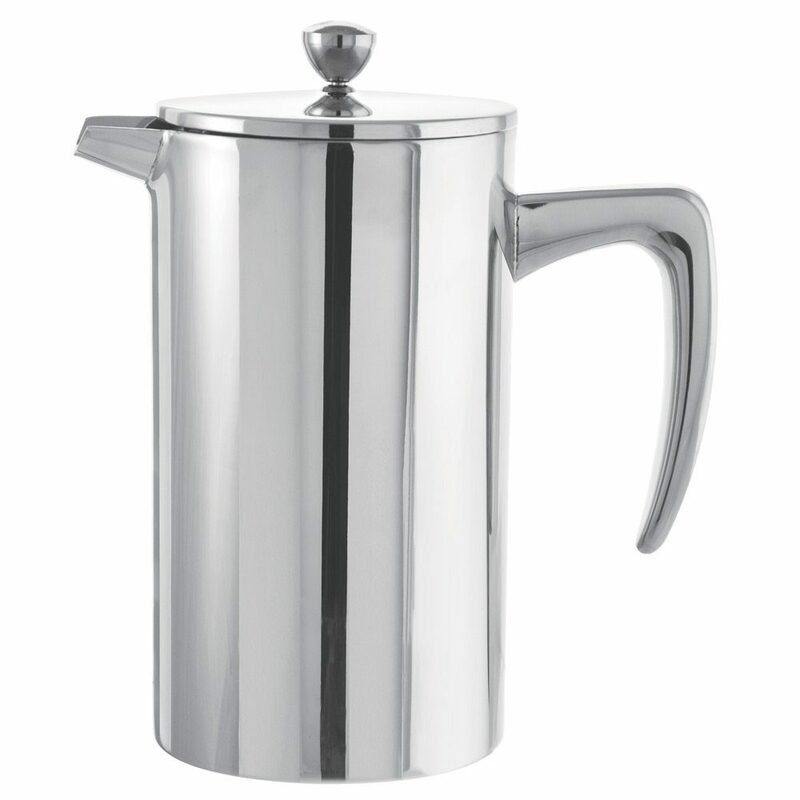 The DUBLIN stainless steel French press offers durability and style. It is double wall insulated and made from 18/8 stainless steel. 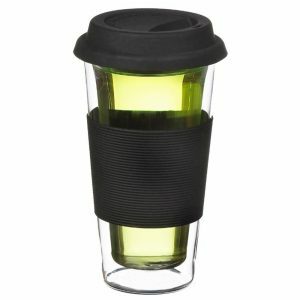 Additionally, it’s designed to keep your coffee hot for long periods of time. The press exterior is a shiny mirror finish that is highly polished. Also, the DUBLIN has a one-liter (1000 ml/ 34 fl. oz) capacity perfect for making two to three large cups of coffee. Its made from high grade 18/8 thick gauge stainless steel. The heavy gauge insulates your coffee better than others. 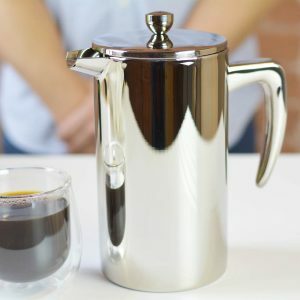 The DUBLIN stainless steel French press is double wall insulated to keep your coffee hot for long periods of time compared. That is as compared to a normal glass coffee press. 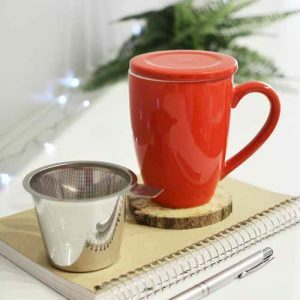 What’s more, the press has a unique spout that offers a consistent pour along with its comfortable handle. Tired of broken beakers? Then this stainless steel press is for you. Not only does the stainless steel work to keep your coffee stay hot for longer, but it will also last you a lifetime. That is why the DUBLIN press is the ultimate camping coffee accessory. Its also is ideal for those who have broken glass french presses while cleaning them. And lets face it, that’s most of us!. This press is dishwasher safe; however, we recommended hand washing to prolong the presses life. No need to make cupboard space for this press. This stylish finish is mirror polished for an un-matched sleek high shine finish. The chic design makes this press an ideal décor piece for any room. The handle is smooth and easy to grip. 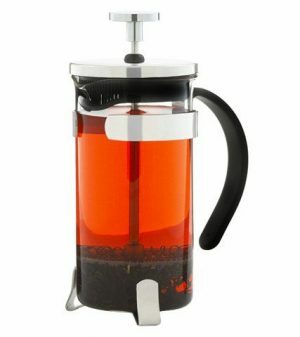 The Dublin is a very easy to use and durable french press. Also it keeps your coffee warm and it will outlast your glass french presses with no beakers to break or replace!